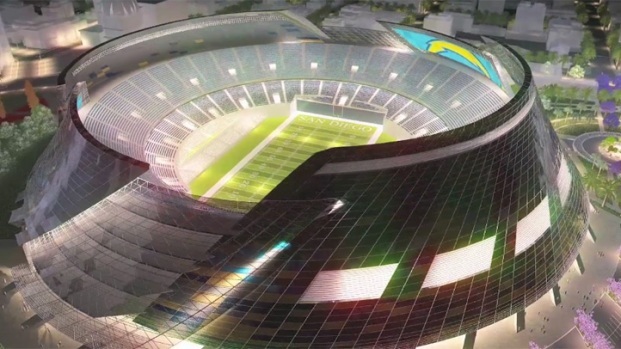 The architectural designers who recently offered the Chargers a dramatic new stadium concept have taken it to another level: digital animation. And they're getting rave reviews from the Bolts' own design team. Last month, on-air and online, NBCSanDiego ran the still-pic images of the DeBartolo-Rimanic Design Studio (DBRDS) team's alternative, space-age approach to a versatile stadium complex in East Village. 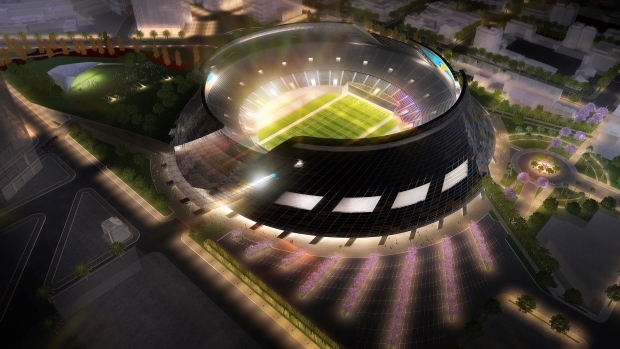 This time, the newly released animation is a dynamic virtual tour of an iconic stadium design that has been likened to a volcano. Watch the new video of the DBRDS Chargers stadium design. The online virtual tour adds to the vision's building buzz. DBRDS, working 'on spec' in a Gaslamp Quarter office loft, spoke with representatives of the Chargers' architects at a recent Expo. "They obviously know our design; they'd seen it and thought it was fantastic," said Pauly DeBartolo, who has been working with partner Ivan Rimanic on the project since late last year. "And they weren't concerned with the fact that we had a go at it. "They appreciated that, and they said, if anything, that raises the bar for them in what they need to do." They might need to bring the local upstarts 'on board' in some fashion. Either way, DeBartolo-Rimanic's landscape architect-partner says buzz from the volcano design could have a galvanizing effect. "People will start to get really excited," said David McCullough, namesake of McCullough Landscape Architecture. "There will be a level of passion for our city and our downtown that develops over the next couple of years. "We have a huge opportunity here. It's at the right time." Added DeBartolo: "We feel it has enough consideration to create the imagination that this can really benefit the entire community -- not just the Chargers." Chargers fans who were shown the stadium animation and still images Wednesday offered ready testimonials in favor. "This is mind-blowing nice; I mean, it's beautiful," said La Mesa resident Monty Prokop outside an East Village pub, awaiting the start of the Padres' game against Atlanta. "I'm a sports fan, and I think its great." Said College Area resident Joe Campise: "It's something the taxpayers could really get behind, once they see how nice they did on this." Chargers Special Counsel mark Fabiani says the head of the club's stadium design team will meet here in San Diego next month with the DeBartolo-Rimanic-McCullough team. Among the talking points: a retractable roof and downtown parking. Mayor Sanders is touting a sports-entertainment district, modeled after 'LA Live' as one possible approach.